Pike Blog: Plan A. Check. 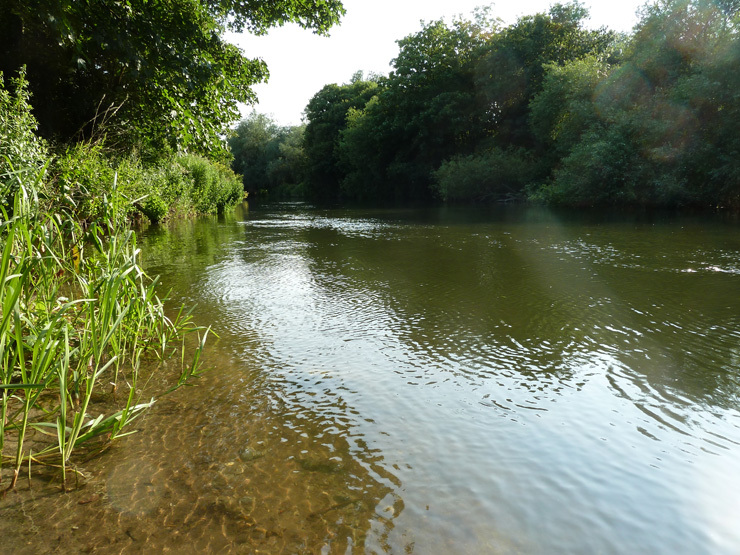 A trip to the Thames this afternoon in searching of a pike, it was probably too hot but the water looked great. The plan was to lure fish with surface or just under the surface plugs and keep mobile. 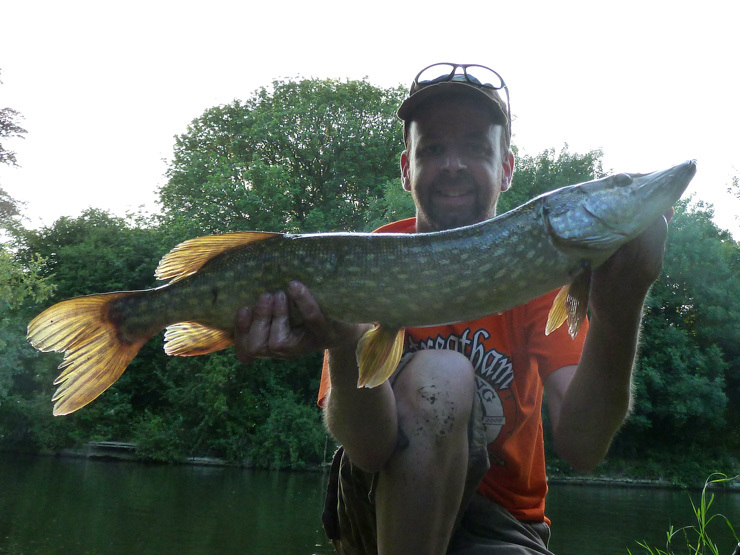 And after missing a take (from a pike about 8lb) this baby pike hit the lure - I didn't care it was small, it was a pike, mission accomplished. Eyes bigger than it's belly? Almost! I fished on for a couple of hours eventually connecting to this jack of about 4½lb, which took the plug with a swirl under my feet making me jump out of my skin. Great stuff! 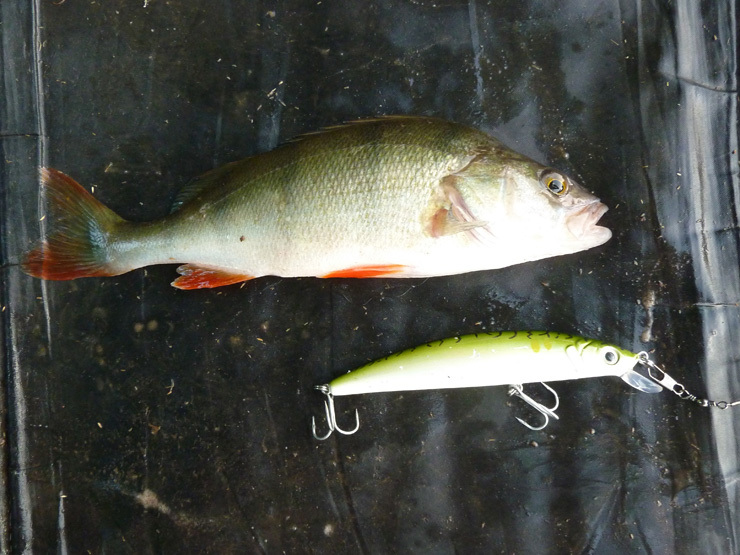 The final fish to take a fancy to the plug was this little perch. Eyes bigger than it's belly? Definitely! Fantastic. Lure fishing really gets the blood boiling doesn't it!! Great to see you catching some fish. A great way to catch fish, especially pike. 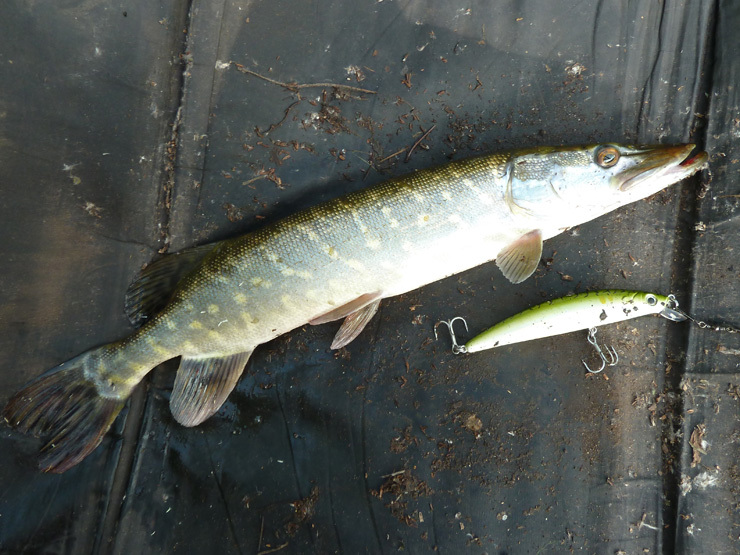 Bit like when the float bobs; when the pike hit the lure they could be 3lb or 30lb... Unless you see them do it, in which case you jump out of your skin! Shall be doing a few more sessions plugging on the Thames and hopefully the Wye before the Arctic conditions return later in the year. Glad to be catching a few fish, it was a slow start, got to get a few fish on the bank to make up for it!